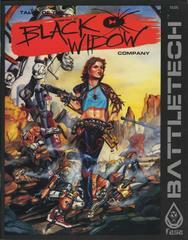 "This supplement is packed with descriptions of one of BattleTech's most elite fighting companies: The Black Widow Company of Wolf's Dragoons. Selling their services to the highest bidder, this mercenary unit is well-known throughout the Successor States. 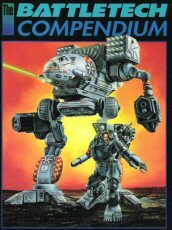 Included is a history of the Black Widow Company and her commander, Natasha Kerensky, details of the units that make up the company and the MechWarriors who do the fighting, plus 15 scenarios of actual engagements fought by the Black Widow. • Lady Sings the Blues • Queen's Gambit	• Spider Trap • The Lady and the Tiger • The Bounty Hunter • Ghost Unit • The Battle For Hoff (A 4 scenario campaign)"
"The mercenary company McKinnon's Raiders was nicknamed The Fox's Teeth for their long, and successful history in carrying out the policies of Hanse "The Fox" Davion. Now considered a house unit of the House of Davion, the most powerful of the Successor States, McKinnon's Raiders has a remarkable history of loyalty under the most trying of circumstances. This scenario set details the history of McKinnon's Raiders, profiles the statistics and condition of the members of the company and includes 14 scenarios pitting the Raiders against the wide variety of opponents they have fought throughout their colorful past." "The inhabitants of Galtor, a sleepy little planet on the Davion/Kurita border, had nothing to interest their neighboring superpowers. Nevertheless, the manipulations of Hanse "The Fox" Davion and the bitter rivalry of two Kurita Military District Commanders engulfed Galtor in one of the largest battles in recent memory. Davion planned to lure a couple Kurita regiments onto Galtor with rumors of a newly discovered Star League storehouse and then ambush the Kurita forces with his own secret reinforcements. Everything went according to plan until five regiments landed and Davion engineers discovered a real Star League installation. Soon Davion units were fighting for their very existence. This BattleForce scenario set includes a detailed history of the three-month campaign, orders of battle for the units involved and eight scenarios that recreate the pivotal battles." "Cranston Snord's Irregulars have widely different reputations, depending on who you ask. Katrina Steiner thinks of the unit as one of the more effective, if unorthodox, units in her employ. House Marik would like to rid the Inner Sphere of the unit and has been trying for many years. Jaime Wolf sees the unit as a band of looters who have made good. Oneway or the other, the Irregulars are probably best known for their ability to get into and out of tight spots created by their never-ending quest for the lost artifacts and/or treasures of Mankind's past. Whether called looters or not, they are still a unit to be reckoned with. 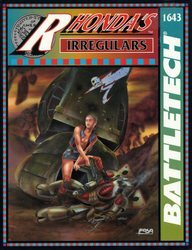 This scenario set details the history of Snord's Irregulars, profiles the statistics and condition of its members and the company 'Mechs, and includes 14 scenarios pitting the Irregulars against the wide variety of opponents they have fought throughout their colorful past. Also described are some of their more memorable treasure hunting expeditions. Some of the scenarios included are: * Return of the Snord * Operation Road Runner * A Present from Janos * The Stumble Raid * The Junk Yard Dog Campaign (A 4 scenario campaign)"
"Treachery and betrayal gave birth to the Gray Death mercenary regiment, one of the most feared and respected units of the Succession Wars. It was his father’s death, at the hands of traitors on the Periphery world of Trellwan, that forced young Grayson Carlyle to create a ‘Mech unit from next to nothing and face off with the Red Duke, one of Kurita’s minions. From that day forward, Carlyle and his men struggled long and hard to win respect as a mercenary unit in the Inner Sphere. The Grey Death Legion scenario set describes major battles fought by the unit as told in the novels: Decision at Thunder Rift, Mercenary’s Star, and The Price of Glory. You will follow the Legion’s rise from a mere three ‘Mechs to a full combined arms regiment feared and admired by both enemies and friends!" "By the 31st century, war has raged in the Successor States for over 200 years. In this ongoing conflict, the mercenary soldier has ample opportunity to seek his fortune under the banner of one of the Great Houses -- a career fraught with danger but rich in potential rewards. The Mercenary's Handbook is a BattleTech and MechWarrior supplement describing the mercenary way of life. It details everything from troop capabilities to a mercenary unit's expenses, and from the ins and outsof contract negotiations to the nature of 31st century warfare. Commentary and views on the Succession Wars mercenary provide a solid background forgamers who need to learn the basics of the business of war, while game rules translate these ideas into simple systems for creating a mere outfit, finding and signing with employers, and resolving an entire military campaign. This 104-page book contains more than 50 full-color illustrations and mercenary crests. The complete history and operating procedures of three example mercenary companies are also included, The Eridani Light Horse, The Waco Rangers, and Wilson's Hussars. Admired as a consummate professional yet reviled as a hireling loyal only to money, the successful mercenary needs more than combat skill to ply his trade. If you have the wit, the business skills, the political wisdom, and the tactical genius to become a mercenary leader, The Mercenary's Handbook is for you!" 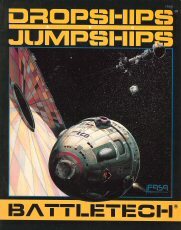 ComStar Intelligence Summary FB-60 discusses the five major types of JumpShips and 20 major types of DropShips as well as examples of small craft and even space stations. Each entry includes an illustration of the ship as well as detailed descriptions and statistics. Also included is a short history of humanity in space, from the construction of Crippen station, through the work of Kearny and Fuchida and mankind's exodus from Terra, to the modern Succession War era. To control his people, the Coordinator of the Draconis Combine must control their ideology. Thus, Draconis society's values are Harmony and Purity — Harmony with the interests and intentions of the Kurita state, and Purity from any thoughts that contradict those of the Coordinator. Only the powerful, mystical society ComStar could compile this sourcebook on House Kurita and the Draconis Combine. Dozens of full-color illustrations depict famous personalities, scenes, and military ranks, decorations, and insignia. Also included is Kurita history, from Shiro Kurita's bloody conquests while forging the Draconis Combine to Takashi Kurita's ruthless ‘justice.’ Every Combine 'Mech regiment from Rasalhague to Luthien is listed, along with the totalitarian government's structure, a description of the ISF (the Combine's secret police), and excerpts from the Dictum Honorium, which spells out the codes of conduct for Kurita citizens. Who was Claudius the Cruel? What is the hottest rock group in the Inner Sphere? Which mercenary leader has a crush on Melissa Steiner? Precariously poised between the fierce eagle of House Marik and the voracious dragon of House Kurita, House Steiner fights a desperate battle to protect the worlds, industries, and peoples of the Lyran Commonwealth. One of the five Successor States of the fallen Star League, the Commonwealth is noted for having the strongest economy and the weakest military leadership of all the realms. Nevertheless, its clenched fist is a symbol of defiance to those who would swallow the Commonwealth whole. 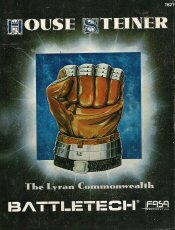 Compiled from ComStar records both ancient and modern comes this sourcebook on the Lyran Commonwealth and House Steiner. Included are dozens of full-color illustrations depicting Commonwealth rank insignias, unit crests, medals, personalities, and more. Classified documents on the Lyran Commonwealth Armed Forces' deployment from the Tamar Theater to Tharkad, military structure, and political intrigues are also provided. The extensive history section stretches from Terra's first steps into interstellar space to Melissa Steiner's betrothal to Hanse Davion. DISCOVER THE SKELETONS IN THE STEINERS' CLOSETS..."
"When the Civil War of 3014 was over, Captain-General Janos Marik emerged triumphant. Marik has lost his brother, his wife, and his confidence. The realm he rules, the Free Worlds League, weakened by over two centuries of warfare with the Lyran Commonwealth and the Capellan Confederation, is being torn apart by the diversity that was once its greatest strength. Yet the winds of change blow throughout the Inner Sphere. Marik has entered into an alliance with the Draconis Combine and his former enemies the Capellans, an alliance that may tip the balance of power for centuries to come. This ComStar report on House Marik and the Free Worlds League includes dozens of full-color illustrations depicting League personalities, daily life, and military regalia. Classified documents on League and various League factions' armed forces, military structure, and political intrigues are also provided. In addition, the large history chapter stretches from the initial unification of the Marik Commonwealth, the Principality of Regulus, and the Duchy of Oriente to form the League through House Marik's consolidation of power and its position today as leader of the now divided Free Worlds League." "In the 26th Century, Alexander Davion wanted the Federated Suns to be the last to join the Star League. In the 31st Century, Hanse Davion wants them to be the last to survive it. Hanse Davion, dynamic First Prince of the Federated Suns, rules the largest and most powerful of the. Five Successor States of the Inner Sphere. After two and a half centuries of devastating interstellar warfare, the Inner Sphere is poised on the brink of a new age. as signaled by the recent alliance between Davion and House Steiner's Lyran Commonwealth. 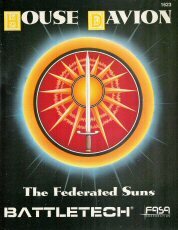 This ComStar casebook covers the history of the Federated Suns and its ruling family, its military forces, government, economy, culture and daily life, along with dozens of full-color illustrations. Also included are unit deployment charts, dossiers on prominent individuals, an atlas of key Federation planets, and much, much more." His work done, Maximilian Liao just sat back and smiled. Although perceived as the weakest Successor State, House Liao's Capellan Confederation is still a wily, treacherous, and formidable foe. Ruthlessly dominated by the cunning Maximilian Liao, the Confederation schemes to pick up the pieces of the shattered Inner Sphere and declare itself leader of a new Star League. 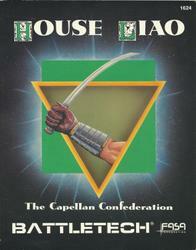 From their tremendous library containing the knowledge of the universe, ComStar has compiled this dossier on House Liao and the Capellan Confederation. Included are dozens of full-color illustrations depicting Confederation personalities, daily life, and military regalia. Classified documents on Confederation armed forces, the Warrior Houses, military structure, and political intrigues are also provided. In addition, the large history chapter stretches from Franco Liao's unification of the Confederation to Maximilian Liao's devious plotting to control the Inner Sphere. The rulers of the other Successor States do not consider Liao a threat — Maximilian Liao just sits back and smiles." The helicopters roared over the hill, skimming the tops of friendly 'Mech antennae. AeroSpace Fighters carrying heavy bomb loads hunted for the enemy airbase. At 1500 hours, the main 'Mech force moved out. The motorized infantry had pulled out about three hours earlier, and the tanks, both tracked and hover, had left an hour ago. At 2000 hours, the hydrofoil assault force skirted the enemy's rear echelon and called for support from the artillery fire base. The battle was joined. 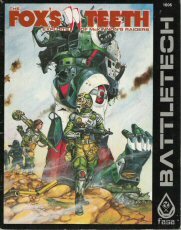 Now all the rules for every type of tactical combat in the BattleTech universe are in one place. 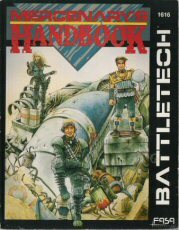 The BattleTech Manual contains reorganized combat rules from BattleTech, City Tech, AeroTech, and MechWarrior. In addition, this book presents complete generation rules for all vehicles, from BattleMechs to submarines." "Born in the wake of civil unrest, Sorenson's Sabres are the most feared and respected of Kurita troops, due to their unique composition, deadly efficiency, and ferocious tactics. From fighting Bandit Kings to raids on Davion space, the LAM, AeroSpace Fighter, and 'Mechs of this company get the job done with new tactics and old-fashioned grit. This scenario set details the history of Sorenson's Sabres, profiles the statistics and combat readiness of the members of the company, and includes 20 scenarios pitting Sorenson's Sabres against a wide variety of colorful opponents. * Roar of the Thunderbolts * Raid on Hell * Didn't Know What Hit 'Em * The Protector * The Bandit Flush * The Ozawa Campaign"
"The Star Systems on the outskirts of the Inner Sphere make up the area known as THE PERIPHERY. Extending far into interstellar space, it is fragmented into countless kingdoms and alliances. Small, mean, weak, and unorganized, they may yet tip the balance of power among the Successor States. This ComStar report highlights the larger and more important states in the Periphery, detailing their histories, rulers, economies, backgrounds, and current military forces." "A single man ruled and controlled 3,000 star systems. The Lords of Davion, Kurita, Steiner, Marik, and Liao deferred to his will. After the explosive spread of mankind through the stars and before the chaos of the Succession Wars was a golden age of advancement. Unequalled levels of technology, human rights, and prosperity were reached. Agro-technology fed billions. The average human lifespan was extended to 108 standard years by medical science. But those same advances carried a curse, for the engines of war from the Star League era possessed power unequalled in the Successor States today. And in that time of great deeds stood the greatest warrior of all time, Aleksandr Kerensky. 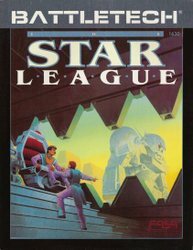 The Star League is a ComStar document detailing the history, commerce, organization, and military campaigns of mankind's finest moment, and the tragic failures that doomed it." "No mercenary regiment is more well known, nor as universally respected. Indeed, other units of the Inner Sphere validate their prowess by surviving an encounter with the Dragoons. 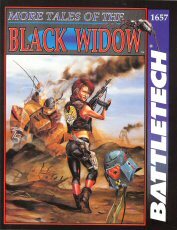 Among their ranks is Natasha Kerensky, known as the Black Widow, and perhaps the most romanticized MechWarrior in history. The strategic and tactical knowledge of Jaime Wolf, the heart and soul of the Dragoons, is beyond reproach. The unit's supplies and equipment are of the finest quality. Their 'Mechs never want for repair parts. Their ranks are closed and private. Since appearing in the Inner Sphere in 3005, the Dragoons have been employed in turn by every house of the Successor States. No amount of money, political power, or threats have coerced them to renew a contract. Speculation and conjecture over their motives and origin are commonplace and wildly varied. Governmental intelligence and security networks have expended countless man-hours and C-bills trying to learn their secrets. Now war consumes the Inner Sphere, and the Dragoons' contract with House Kurita has expired. Where they throw their support could determine the outcome of the war. This ComStar document is the most accurate, up-to-date assemblage of information ever compiled about the Dragoons. Their history, organization, and unique membership are exposed in great detail. Find out the who, what, where, when, and why(s) of the most powerful regiment in the Inner Sphere today." "'Husband, to honor of our marriage, in addition to this cake, I give to you a regiment of BattleMechs and the means to support them in perpetuity,' spoke Melissa Steiner of the Lyran Commonwealth after her wedding to Hanse Davion. Full-color maps depict the movement of forces, battlefield terrain, and the cities and other objectives they fought for. 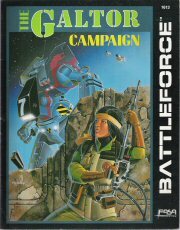 BattleForce statistics are included for over 30 key regiments, such as Wolf's Dragoons, Hundreds of BattleTech engagements can be generated from these stats using a simple conversion table. Fight the battles of the 4th Succession War!" "What is the Price of Glory? 80,000,000,000,000 C-Bills worth of property destroyed. The Fourth Succession War — so brilliantly planned, so perfectly executed, and so dramatically announced, has become far more than Hanse Davion ever anticipated. The battles continue, and the toll is huge, the highest in almost 100 years. Here is told, in strategic terms, the history of the war from January 3029 to January 3030. The campaigns, the tactics, and the battles themselves, compiled from reports by the commanders and MechWarriors who fought them. Learn the planets that changed hands, and why. Full-color maps depict the movement of forces, battlefield terrain, and the cities and other objectives they fought for. BattleForce statistics are included for 50 key regiments, such as the Genyosha and the Kell Hounds. Hundreds of BattleTech engagements can be generated from these stats using a simple conversion table." "The year is 3050. The Fourth Succession War has been over for 20 years. The Rasalhague Military District broke with the Draconis Combine, forming the Free Rasalhague Republic. Houses Steiner and Davion gradually merge to form the Federated Commonwealth. In an unexpected show of strength, the Combine military, under Theodore Kurita, stops the Federated Commonwealth invasion of 3039 cold. ComStar unveils a huge 'Mech army to garrison its thousands of installations throughout the Inner Sphere. Romano Liao fends off a Canopus-Andurien invasion and rebuilds the Capellan Confederatíon from the ashes left by her demented father." "A COMPILATION OF six years of detailed research, The Battletech Compendium may well be the ultimate resource for the player. Clear and concise rules clarifications, battle demonstrations, and rules changes will help develop and streamline play. 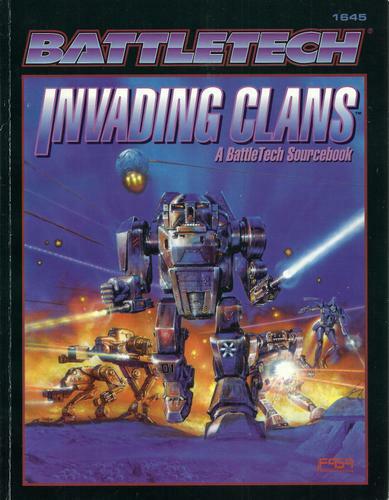 All the material from The Battletech Manual is presented in a revised form, as well as additional rules for JumpShip and DropShip combat, 'Mech construction, and the latest discoveries concerning the technology of the Star League and the invading Clans. Optional rules are included for miniature play, environmental effects on the battlefield, and more. Loaded with color photos, this Compendium gives the clearest picture yet of combat in the 31st century." "Who are the Clans? Where do they come from? What do they really want? The Wolf Clan Sourcebook reveals the history, culture, and military capabilities of the Wolves, one of the premier Clans. The Clan's military tactics and internal hierarchy are explored, and its personalities profiled. 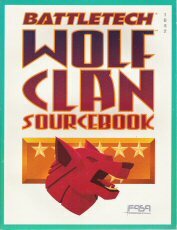 The Wolf Clan Sourcebook also includes a detailed discussion of the key Battle of Tukayyid, information on the unique BattleMechs of this fearsome group and an 8-page color section featuring renderings of the Wolf Clan's uniforms & crests, and the battlearmor of the mysterious Elementals! 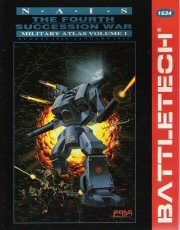 A must for any Battletech fan!" In 3307, Cranston Snord's Irregulars emerged from the winnings of a poker game. 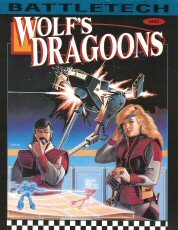 Under the command of Cranston Snord, an officer disgraced and discharged from Wolf's Dragoons, the Irregulars gained a reputation for unorthodox tactics and a fetish for collecting lost artifacts and treasures. Now, 43 years later, Cranston has given his daughter Rhonda active command of the Irregulars. Under her leadership, the Irregulars have grown in size and reputation. The Federated Commonwealth command used the Irregulars against House Marik with satisfying results, and they looked the other way when the Irregulars went collecting. Now, the battered Federated Commonwealth wants the Irregulars to conduct raids into Clan-held territory. The Irregulars are willing to take on the Clans, but they have another objective in mind; a Star League naval base believed to be deep inside Clan-held territory. 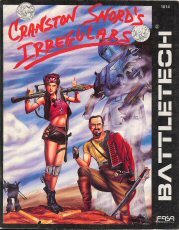 Rhonda's Irregulars is a BattleTech scenario pack chronicling the Irregulars' history from Cranston's discharge from Wolf's Dragoons, to their actions in the Fourth Succession Wars, to their battles, including Operation Merlin, the Irregulars' foray into Clan territory. 'Also included are new 'Mechs and vehicles used by the Irregulars, unit rosters, and personnel files." 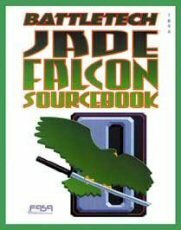 "The Jade Falcon Sourcebook provides a complete overview of the deadly Jade Falcons, one of the premier Clans. Falcon history, culture, and military capabilities are explored. The Jade Falcon Sourcebook also includes profiles of prominent Clan personalities, information on four deadly new BattleMechs, an overview of Jade Falcon-occupied worlds, and eight full-color pages featuring renderings of Jade Falcon uniforms and examples of Clan camouflage. 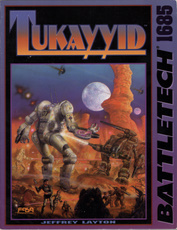 A must for any BattleTech fan!" 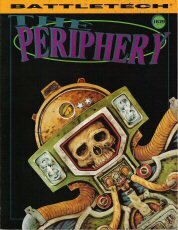 "They came from beyond the Periphery: Invaders with advanced weapons, strange tactics, and stranger customs. Arriving in 3049, they attacked world after worlds with unrelenting fury. By 3052 they had conquered more than 200 planets, and their target was clear. They sought to capture the cradle of humanity: Terra. If not for the battle of Tukayyid and the resulting truce, the Earth would surely have fallen. INVADING CLANS describes the history, culture, and military capabilities of Clans Smoke Jaguar, Nova Cat, Ghost Bear, Steel Viper, and Diamond Shark. Also included is an overview of occupied worlds, deadly new BattleMechs, and eight full-color pages featuring renderings of Clan uniforms and ceremonies." 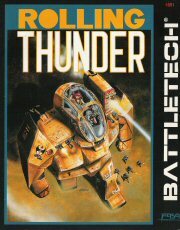 Rolling Thunder is the first scenario pack to combine BattleTech, BattleForce and MechWarrior Scenarios. Formed during the chaos that followed the struggle between Anton and Janos Marik, the Rolling Thunder company is a well-respected unit in the service of the Free Worlds League. Renowned equally for their warrior spirit and their battlefield scrounging, Rolling Thunder is always ready and willing to fight. This scenario pack details the history of RollingThunder, personality profiles, and statistics for the company, as well as combat readiness of their 'Mechs. 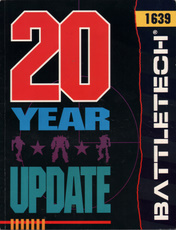 Contains 16 BattleTech scenarios, 2 BattleForce scenarios, and 2 MechWarrior scenarios." It was not the first or last time that the fate of the Kells would. become intricately bound up with House Steiner. Morgan Kell helped to save Katrina's fife during an assassination plot even before she became Archon. Then it was an inheritance from Katrina's husband Arthur, a cousin of the Kells, that permitted the brothers to finance their dream of founding a merc unit. Much later, Patrick Kell gave his life to rescue Melissa Steiner, heir to the Lyran throne and Hanse Davion's fiancee, when she was kidnapped by agents of the Draconis Combine. The Kell Hounds played key roles in Davion history, too. They were there when Yorinaga Kurita killed Ian Davion on Mallory's World. They held off the Second Sword of Light long enough for Davion forces to recover the Prince's body, but Kurita escaped. From that day, Yorinaga Kurita and the Kell Hounds were destined to face one another in a series of climactic battles. When Morgan and Yorinaga dueled in one of these, a legend was born. The mystical nature of that battle left Morgan so shaken that he disbanded most of his regiment and joined a monastery. The Kell Hounds survived under the leadership of Patrick Kell. After Yorinaga killed Patrick on Styx, Morgan Kell came out of exile to rebuild his unit. He knew it was only a matter of time before he and Yorinaga would meet again on a day of final reckoning. 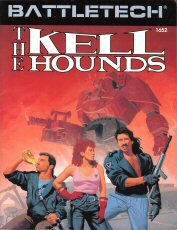 THE KELL HOUNDS is a scenario pack containing 11 BATTLETECH, 2 BATTLEFORCE, and 2 MECHWARRIOR scenarios. It also provides personality profiles on the principal members of the Kell Hounds, a unit roster, and a history of the unit." "From beyond known space come the Clans... high-tech barbarians bring war and destruction to the Inner Sphere. The Jade Falcons were one of the fiercest and most brutal of these Clans. Preying on the Federated Commonwealth, they mercilessly slaughtered its defending forces. The most successful of the Jade Falcon forces were the Falcon Guards. Led by Star Colonel Adler Malthus, the guards amassed an incredible string of victories. Their fate was to end up buried under tons of rock, entombed forever by Leftenant Kai Allard, giving the Federated Commonwealth its first victory over the Clans. 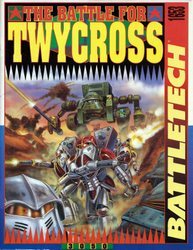 This scenario pack recreates the battles for Twycross, with 15 BattleTech scenarios and 1 Battleforce scenario, following the Falcon Guards from their greatest success to their final stand." "Armies of BattleMechs stride toward their objectives, razing cities with their missiles, lasers, PPCs, and autocannons on the way. The language of battle is blood, and the cries of the homeless echo in the troubled sleep of every MechWarrior. Torn from the pages of the Fourth Succession War, this scenario pack contains battles from the Davion/Liao front, the Steiner/Kurita front, as well as a series of engagements between Wolf's Dragoons and their former employer, the Draconis Combine, in their private war with the Dragon. See how the Federated Suns bites pieces out of the Capetlan Confederation, how some Lyran/Draconis battles could have gone either way, and how an elite mercenary unit takes on everything Takashi Kurita can throw at it. Command groups of regiments in climactic engagements or play the role of a commando on a secret and sensitive mission. 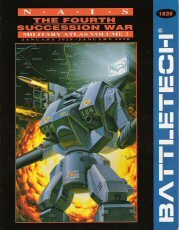 Put yourself to the test in 16 BattteTech, 3 Battle-Force, and 2 MechWarrior scenarios from the Fourth Succession War." 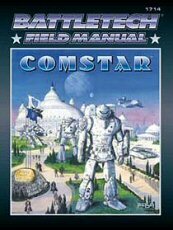 "ComStar has controlled the Inner Sphere's interstellar communications and other technology for centuries. ComStar single-handedly stopped the Clan invasion, then failed in its attempt to take control of the inner Sphere. Now the organization responsible for keeping the Inner Sphere together has split into two factions. The Comstar Sourcebook recounts the organization's history, describes the technology it preserved, and reveals the circumstances that broke it apart. The Comstar Sourcebook also describes the new ComStar order and the splinter organization Word of Blake. It includes new BattleMechs from both groups, and an 8-page color section featuring ComStar and Word of Blake uniforms, insignia, and equipment." "The fury that was the Fourth Succession War crippled Wolf's Dragoons forces but not their will to survive. After taking the full brunt of House Kurita's wrath, Jaime Wolf turned to Natasha Kerensky, the notorious Stack Widow, for help in rebuilding his devastated mercenary unit. Under her ruthless command, the Dragoon's Black Widows returned to deadly form. Now the entire Inner Sphere is locked in a life or death struggle against a seemingly invincible invader known as the Clans. Some say that only the Black Widow and her men could triumph against these invaders. But Natasha Kerensky no longer fights for the Inner Sphere. Now she fights for the glory of the Clans! chronicles Natasha Kerensky's unit's servce during the Marik Civil War, the War of '39, and her latest role with Clan Wolf. This scenario pack describes 16 of the Widow's most critical battles. Also included are detailed unit rosters, prsonnel files, and BattleMech readouts that give the truest picture yet of he Inner Sphere's most feared mercenary commander." 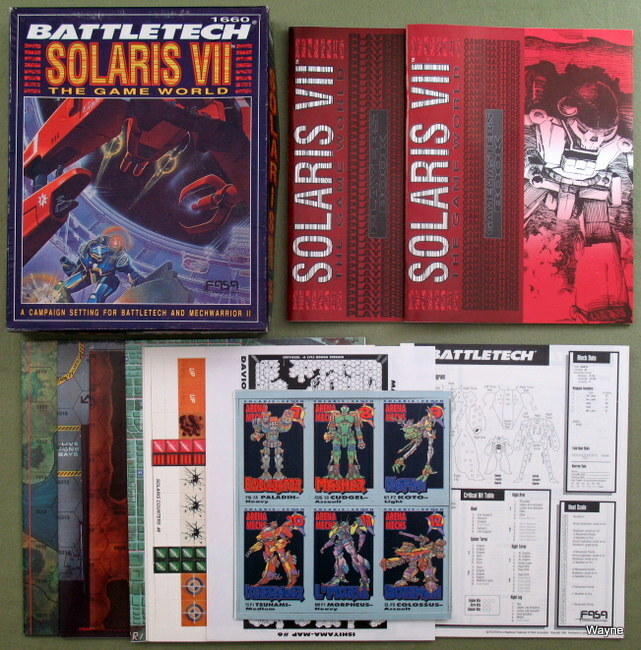 "Solaris: The Reaches provides new locations, 'Mech arenas, Archetypes, BattleMechs and supplemental rules for MechWarrior campaigns set on Solaris VII, which was described and mapped in the boxed game Solaris VII The Game World. All these items can be easily modified for MechWarrior campaigns set in other locales as well." "The bay door swings up and away, revealing your opponent across a labyrinth of obstacles rising from the arena floor. Barely aware that the signal has been given, you are off and running, weapons blazing to cover your desperate sprint to safety. Diving through a maelstrom, of explosions, you round a corner and charge your foe, ignoring the insistent flashing of your warning lights. Welcome to the Game World, where war is a business and life is a gamble. Solaris VII is a supplement for use with BattieTech and MechWarrior, providing everything needed for a MechWarrior to experience the life of a gladiator up-close and personal. From the deadly 'Mech duels to the nightly intrigues at Thor's Shieldhall, Solaris VII challenges all the skills your characters possess. Solaris VII includes a full-color map of Solaris City, a gazetteer of the Game World, a gamemaster's guide, and a full-color map for each of the 5 arenas run by the Great Houses of the Inner Sphere. Solaris VII also introduces the BattleMech Dueling System, a BattleTech expansion for running one-to-one combat with more tactical options than ever before. On Solaris, finding out will get you rich or get you killed." "ClanTroops is a supplement to the BattleTroops game, providing 16 scenarios set during the Clan invasion. ClanTroops features rules expansions dealing with new terrain, weapons, equipment, an both Inner Sphere and Elemental battle armor. ClanTroops also contains five new mapsheets and a variety of counters, including stand-up counters for both types of battle armor." "Current listings of units and industries on worlds along the border of the Clan occupation zone. 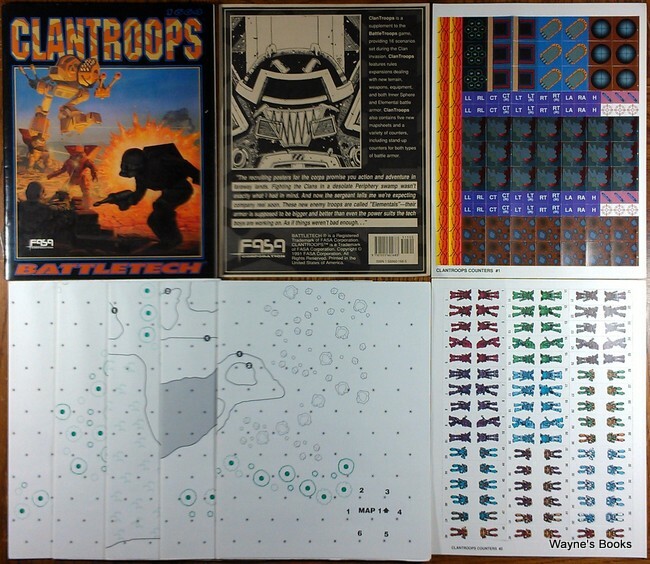 A discussion of the tactics for conducting raids, two representative industrial floor plans, and a reference guide for locating the manufacturing site of any BattleMech, vehicle, aerospace fighter or component is also included." "Colonel Marcus Barton commands the Second Regiment of McCarron's Armored Cavalry, also known as Barton's Regiment, and he is a man obsessed. He has waited forty years to avenge his father's dishonor at the hands of Lester J. Otto. He blew his first chance, but he swears he will not make another mistake. He knows he has a second chance on Marietta, and Marcus Barton will have his revenge this time or die trying. 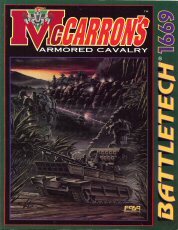 And either way he plans to take his regiment with him... McCarron's Armored Cavalry is a BattleTech scenario pack which includes the unit's history, prominent members, and special equipment. The scenarios chronicle the campaign known as Otto's Last Stand, and can be used individually or as a campaign culminating in one of three different endings. Otto's Last Stand features deadly installations and a point-based system for customizing the defending forces, so that the scenarios can be fought more than once and never be the same game twice." "RUNNING A MERC UNIT IS A SERIOUS BUSINESS FIRST, LAST, AND ALWAYS. NOT JUST ANY GROUP OF GUNG-HO 'MECH JOCKS CAN SURVIVE IN THE CUTTHROAT WORLD OF THE MERCENARY, AND ANY MECHWARRIOR WHO IGNORES THIS FACT ENDS UP WORKING FOR SOMEONE ELSE, DISPOSSESSED, OR DEAD. RUNNING A SUCCESSFUL MERC UNIT TAKES KNOW-HOW, SKILL, CAREFUL PLANNING, AND SOMETIMES A LITTLE LUCK. IF YOU STILL THINK YOU'VE GOT WHAT IT TAKES TO PIT YOUR SKILLS AGAINST THE FIERCEST WARRIORS OF THE INNER SPHERE AND BEYOND, THE MERCENARY'S HANDBOOK: 3055 is FOR YOU. 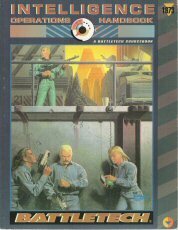 THE HANDBOOK PROVIDES A COMPREHENSIVE, DETAILED SYSTEM FOR CREATING, MAINTAINING, AND OPERATING A MERCENARY UNIT IN THE BATTLETECH UNIVERSE, COVERING EVERY ASPECT OF THE MERCENARY LIFE FROM COMBAT TO SALARY TO MEDICAL CARE. THE MERCENARY'S HANDBOOK: 3055 ALSO INCLUDES DETAILED BRIEFINGS ON FIVE OF THE MOST RENOWNED MERCENARY UNITS OF THE INNER SPHERE: WOLF'S DRAGOONS, THE KELL HOUNDS, RHONDA SNORD'S IRREGULARS, THE GRAY DEATH LEGION, AND THE BLACK THORNS. SO WHAT ARE YOU WAITING FOR? C-BILLS AND GLORY AWAIT ANY MECHWARRIOR BOLD ENOUGH TO TAKE THEM. BUT JUST REMEMBER, THE BATTLE'S NOT OVER UNTIL THE CHECK CLEARS." "The Inner Sphere has been fighting a shadow war of clandestine intelligence operations for centuries, pitting House against House, agency against agency. In the war against the Clans, those same organizations cooperated to save worlds and keep hope alive on captured planets. Now, something else is happening in the shadows. Mercenary units are disappearing without a trace. No one knows how to find them, or where to look. The governments of the Inner Sphere are helpless to move without the information that intelligence operatives provide. The first step is to know your enemy. The Intelligence Operations Handbook is a Wolfnet document detailing the operations of all the intelligence agencies of the Inner Sphere and Inner Sphere-based clans. It includes the history and current activities of each organization and provides new archetypes and personal equipment suitable for use in any intelligence-based campaign." "Almost 30 years ago the mercenary unit known as the Gray Death Legion discovered a long-forgotten Star League memory core, capturing the imagination of the entire Inner Sphere along the way. Since then, the famed unit has continued to blaze a trail of glory across the reaches of known space. Now Day Of Heroes, a new BattleTech campaign pack, lets you share in this legendary Legion's exploits as it slugs its way through three separate campaigns. Join the Gray Death's MechWarriors as they battle House Kurita's renowned First Ghost Regiment during the War of 3039. Share their agonizing defeats and hard-earned victories as they struggle against the savage might of Clan Jade Falcon on Sudeten and Pandora. Stand side by side with these brave men and women as the Second Skye Rebellion traps half the unit on Glengarry and forces a young Alexander Carlyle to lead them as they struggle for their lives against an overwhelming foe. 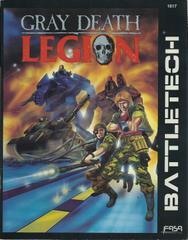 Day Of Heroes: The Continuing Adventures Of The Gray Death Legion is a supplement for the BattleTech game system." 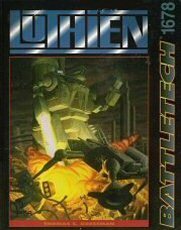 "Luthien is a Battletech Scenario pack that includes a detailed history of the Battle of Luthien, personality profiles and Mechwarrior statistics for major players in the engagement, game statistics for three new OmniMech designs, and two full-size Battletech mapsheets of the Imperial City and the Kado-guchi Valley"
"Hot Spots gives you the contracts that you can use in the creation of your own custom campaigns. Sixty-four reproducible contracts are included for all sizes of units, from Special Forces to Battalions. Hot Spots also includes a Game-Master's book, providing help with customizing your campaign as well as information on the current political background of the Inner Sphere, and the real stories behind the contracts. 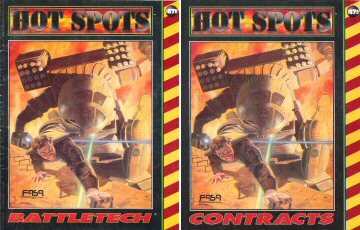 Hot Spots is for use with BattleTech, BattleSpace, BattleTroops, BattleForce and MechWarrior, Second Edition." "A hundred years ago, Primus Adrienne Sims of ComStar suffered nightmare visions of a dire threat to ComStar and the Successor States — hordes of strange monsters from beyond known space, invading the Inner Sphere to destroy it. These visions so troubled the Primus that she created the Explorer Corps, a division of ComStar dedicated to probing the Deep Periphery, to hunt down the threat she had foreseen. 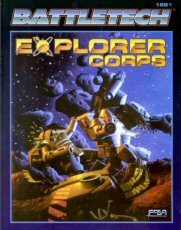 The Explorer Corps sourcebook describes the Explorer Corps' history and structure, including key personalities, operational procedures, and the Corps' efforts to locate the Clan homeworlds before the Truce of Tukayyid expires. Also included is background material on life aboard a 31st-century spacecraft and descriptions of various colonies and Clan bases in the Deep Periphery and other inhabitants of that little-known region of space. Special game rules for BattleTech, MechWarrior and BattleSpace are designed to enhance campaigns involving space travel or planetary exploration; new material includes rules for creating new solar systems and planets to explore, as well as new types of vehicles and 'Mechs." "The cradle of humanity erupts into savage war in this BattleTech scenario pack. While conflict elsewhere in the Inner Sphere distracts the Great Houses, the radical ComStar splinter group known as the Work of Blake attacks Terra in a massive, multi-front blitzkrieg! The Com Guard garrison must mount a desperate defense as circumstances conspire to turn apparent victory into agonizing defeat. 16 scenarios and special weather rules recreate the major battles between the warring factions of Comstar. A sourcebook describing the history and features of 31st century Terra included." A COMBINATION OF COM GUARD INGENUITY, CLAN SHORT-SIGHTEDNESS, AND PLAIN LUCK ALLOWED THE COMSTAR FORCES TO DEFEAT THE CLANS ONE BY ONE -- ONLY CLANS GHOST BEAR AND WOLF MANAGED TO WIN ANY SORT OF VICTORY. AT THE END OF TWENTY-ONE DAYS OF FIGHTING, BOTH FORCES COUNTED COMSTAR THE VJCTOR; EARTH WAS SAVED. TUKAYYID GIVES PLAYERS THE CHANCE TO CHANGE HISTORY. MORE THAN 25 SCENARIOS REPRESENT ALL THE MAJOR ENGAGEMENTS OF THE BATTLE OF TUKAYYID. AS THE CLANS, PLAYERS MAY ENGAGE IN BATCHALL, OR BIDDING, TO DETERMINE WHO AMONG THEM IS WORTHY TO LEAD THEIR FORCES TO THE VICTORY THAT WAS HISTORICALLY DENIED THEM AS THE COM GUARDS, THE PLAYERS MUST USE SUPERIOR NUMBERS AND GUERRILLA TACTICS TO OVERCOME THE CLAN'S ADVANTAGE OF TECHNOLOGY AND SKILL. 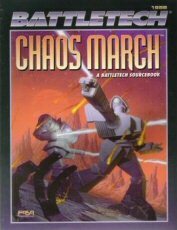 "CHAOS MARCH GIVES PLAYERS THE INFORMATION THEY NEED TO RUN GAMES AND CAMPAIGNS IN THE TROUBLED SARNA MARCH. THE GUIDE TO THE CHAOS MARCH OFFERS PLAYERS AN UP-TO-DATE LOOK AT THE MANY FACTIONS AND EMPLOYMENT OPPORTUNITIES ON THE PLANETS IN THE AREA, INCLUDING FIRST-PERSON ACCOUNTS OF THE REAL SITUATIONS. CHAOS MARCH ALSO INCLUDES NEW RULES AND EQUIPMENT FOR BATTLETECH AND MECHWARRIOR, AND A CHAPTER DESCRIBING OUTREACH, THE IDEAL STARTING POINT FOR A CHAOS MARCH CAMPAIGN." "FOR YEARS, THE BITTER RIVALRY BETWEEN THE WARRIORS OF THE WOLF CLAN AND THE JADE FALCONS SIMMERED, THEN IN JUNE OF 3057, GROWING POLITICAL TENSIONS AMONG THE FEARSOME INVADERS ERUPTED IN A BLOODY WAR OF ATTRITION. FROM THE MOUNTAINS OF COLMAR TO THE ICY WASTELANDS OF MORGES, THE ARMIES OF THESE ANCIENT ENEMIES CLASHED IN AN DRAMATIC DUEL TO THE DEATH. 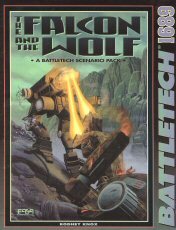 THE FALCON AND THE WOLF IS A BATTLETECH SCENARIO PACK THAT DESCRIBES THE EPIC TRIAL OF REFUSAL BETWEEN THE WOLF AND JADE FALCON CLANS DESCRIBED IN THE BATTLETECH NOVEL BRED FOR WAR. FILLED WITH HISTORICAL NOTES AND PERSONAL ACCOUNTS OF THE TRIAL, GAME SCENARIOS, AND SPECIAL CLAN RULES, THE FALCON AND THE WOLF PROVIDES EVERYTHING THE BATTLETECH PLAYER NEEDS TO RECREATE THE BATTLES OF THIS MAJOR INTRACLAN CONFLICT." 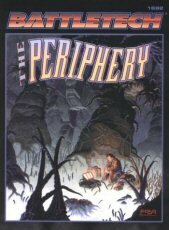 "THE STAR SYSTEMS on the outskirts of the Inner Sphere make up the area known as the Periphery. For hundreds of years, countless kingdoms and alliances have struggled against each other for survival in the far reaches of known space. Now, in the upheaval ravaging the Inner Sphere, these tiny realms may lie the key to changing the balance of power among the Successor States. In the wake of the Clan invasion a new era of exploration has begun. The intense efforts of the Inner Sphere bring the House Lords ever closer to discovering the Clan homeworlds. find every day of exploration reveals a more powerful, more complex and more exciting Periphery. The Periphery sourcebook brings events in that area up to date, highlighting the larger and more important states in the Periphery and describing their current military forces, their histories, rulers, economies, goals and problems. 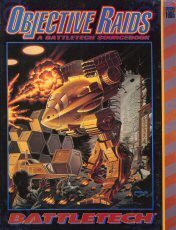 This sourcebook for BattleTech also provides game information that includes 'Mechs, vehicles, personal gear and character archetypes unique to campaigns taking place in the Periphery." "A failed alliance tears a nation apart. Ancient rivals join forces. The winds of change are blasting across the worlds of the Inner Sphere, and the battle for Coventry is the center of the storm! In early 3058, following the disastrous Trial of Refusal with Clan Wolf, Clan Jade Falcon launches a brutal campaign against the Lyran Alliance to regain its status among the invading Clans. As the Lyran Alliance tries desperately to marshal the necessary troops to stop this invasion at Coventry, military forces from all the major powers in the Inner Sphere converge on the war-torn planet. With massive troops posied on both sides of the conflict, the battle for Coventry threatens to explode into an all-out war with the Clans once again! Will the Truce of Tukayyid hold? 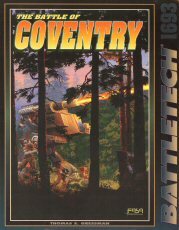 The Battle of Coventry is a BattleTech scenario pack that describes the savage conflict between Clan Jade Falcon and defending forces of the Inner Sphere on the planet Coventry. A detailed description of the hard-fought battle, along with seventeen scenarios and special campaign rules, allows players to recreate the events that unfolded in the BattleTech novel Malicious Intent -- and perhaps even change the course of history." "OF ALL THE ARMIES OF THE INNER SPHERE, NONE IS AS UNIVERSALLY FEARED AND RESPECTED AS THAT OF HOUSE KURITA'S DRACONIS COMBINE. WITH FIGHTING SKILLS LEARNED IN THE FINEST ACADEMIES AND TEMPERED BY THE ANCIENT CODE OF BUSHIDO, THE MECHWARRIORS OF THE DCMS KNOW NO EQUALS. THEIR LOYALTY AND SKILL ARE LEGENDARY, AND THEIR TENACITY HAS WON THEM HUNDREDS OF BATTLES ACROSS KNOWN SPACE. 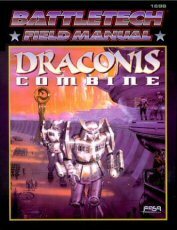 THIS CLASSIFIED FIELD MANUAL, SEIZED FROM THE COMBINE'S INTERNAL SECURITY FORCE, REVEALS THE INNER WORKINGS OF THE DRACONIS COMBINE MILITARY, FROM DISTRICT REGULAR UNITS TO THE ELITE SWORD OF LIGHT REGIMENTS. THIS DOCUMENT IS AN INVALUABLE RESOURCE FOR BOTH ALLIES AND ENEMIES OF THE COMBINE. 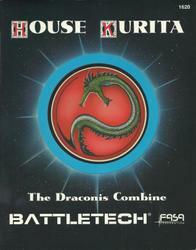 BATTLETECH FIELD MANUAL: DRACONIS COMBINE CONTAINS EXTENSIVE INFORMATION ABOUT ALL ASPECTS OF HOUSE KURITA'S MILITARY. EVERY BATTLEMECH REGIMENT OF THE DCMS IS DESCRIBED IN DETAIL, INCLUDING THEIR HISTORY, OFFICERS AND TACTICS. 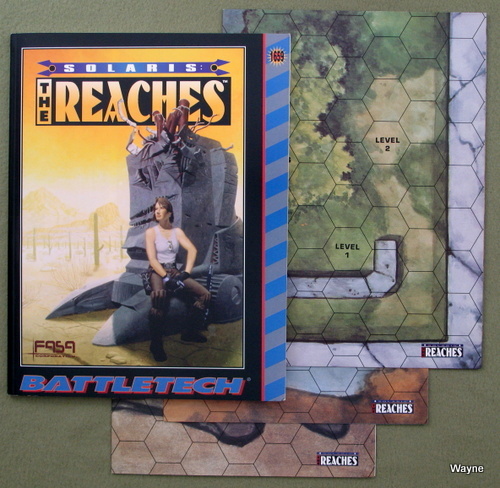 SPECIAL RULES REFLECTING THE UNIQUE ABILITIES OF EACH REGIMENT ARE INCLUDED AS AN OPTIONAL EXPANSION TO BATTLETECH PLAY. AMONG THE MANY OTHER FEATURES OF THE BOOK ARE NEW WEAPONS, EQUIPMENT, AND BATTLEMECHS UNIQUE TO THE DRACONIS COMBINE." 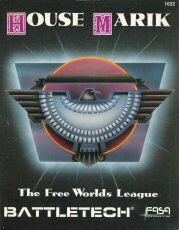 "Spared from the ravages of the Clan invasion, the Free Worlds League flourished as an arms supplier to the embattled legions of the Inner Sphere. Captain-General Thomas Marik patiently guided the Free Worlds League Military through a long-overdue reformation as the troops of his Great House rivals battled the invaders. Bolstered by the League's powerful military-industrial complex, the FWLM now stands as one of the largest and best-equipped forces in the Inner Sphere. 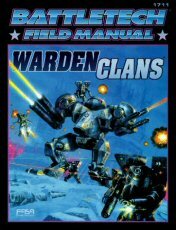 This classified field manual, seized from the League's intelligence organization, reveals the inner workings of the FWLM, from the humble Marik Militia to the elite Knights of the Inner Sphere. 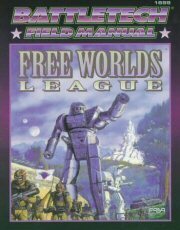 An invaluable resource for both allies and enemies of the League, the BattleTech Field Manual: Free Worlds League provides a complete survey of House Marik's military. 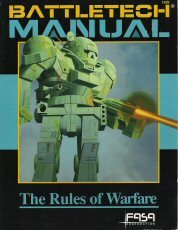 The manual includes dossiers that describe the history, officers and tactics of all FWLM BattleMech® regiments; special rules that reflect the unique capabilities of each regiment; new weapons, equipment, exclusive FWLM BattleMechs and more." "Rediscovered Star League technology gives the Inner Sphere a new edge on the battlefield! But new weapons require new tactics; now as never before, ingenuity counts more than tougher 'Mechs® and bigger guns. 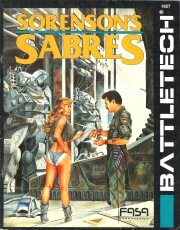 Maximum Tech brings BattleTech players into this brave new world of warfare, where thinking on your feet can win the day. Take your BattleTech games to the max with Maximum Tech, the ultimate expansion rulebook for BattleTech players. Maximum Tech is packed with dozens of Level Three optional rules, including new weapons and equipment for Inner Sphere and Clan forces; expanded rules for vehicles and infantry; double-blind rules; revised and expanded artillery rules; and much more! 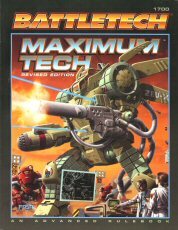 This revised edition of Maximum Tech has been updated for use with the BattleTech Master Rules as well as incorporating the units presented in the Technical Readout: 3060 and Record Sheets: 3060 into the Battle Value units table." "Since the distant time when mankind knew only one sky and one sun, soldiers of the proud units that became the Northwind Highlanders have won brilliant victories against often-desperate odds. From small-scale uprisings in ancient Scotland to epic struggles between mighty star empires over countless worlds, the Northwind Highlanders of every generation have added to their forebears' battlefield glory. Fiercely proud warriors, the Highlanders have left their legendary mark on the universe -- and will do so as long as war rages in the Inner Sphere. The Northwind Highlanders is a BattleTech scenario pack that follows the career of this phenomenal unit, from its inception on Earth in the 18th century to the latest battles of the 31st century. Fourteen scenarios drawn from different periods in the Highlanders' distinguished history let players recreate the unit's greatest battles -- beginning with the First Kearny Highlanders' near-fatal first engagement in 2366, all the way up to the year 3059. Also included are a detailed unit history and a complete military roster. 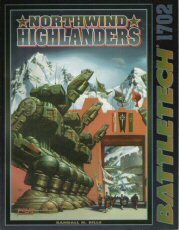 Players can use optional rules that reflect the specialties of each Highlander regiment in conjunction with the BattleTech: Field Manuals series to create their own Northwind Highlander scenarios." Twilight of the Clans is the sequel to this adventure pack. "For seven long years, an uneasy truce has kept the Clan war machine from continuing its relentless march into the Inner Sphere - but young Clan Crusaders hungry for war now push for an end to the Truce of Tukayyid, and a renewal of the invasion. Building on the momentum of their victory over the Jade Falcons on Coventry, the Great House leaders create a Star League Constitution, resurrecting with a pen what they had failed to accomplish through the force of arms - a new Star League. With the might of all the Houses apparently united after hundreds of years of warfare, the members of this fragile union hatch a desperate plan to end the Clan threat once and for all - the complete destruction of a Clan. 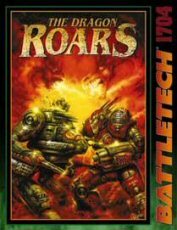 The Dragon Roars is a BattleTech scenario pack that describes the brutal conflict between forces of the newly constituted Star League Defense Force - made up of a coalition army from every Great House - and the savage Smoke Jaguars. Detailed descriptions and maps follow each wave of this titanic struggle as the Inner Sphere sweeps into the Smoke Jaguar Occupation Zone. 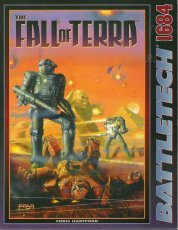 Twelve BattleTech scenarios and one BattleForce 2 scenario allows players to actively participate one of the largest conflicts in human history." "For twelve long years, the Clans have savaged Inner Sphere worlds and armies alike. But who are they? What drives them? This comprehensive report finally puts to rest more than a decade's worth of speculation about the descendants of Kerensky. The information in this document may be the Inner Sphere's greatest weapon against their Clan foes. 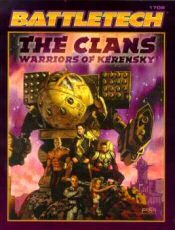 The Clans: Warriors of Kerensky describes in detail all the elements that forged the Clans into the ultimate warrior society, including their history, government, customs and homeworlds. This book also covers the Clans' current status and holdings, including a map of Clan space. The Clans: Warriors of Kerensky also features the insignias of each of the original twenty Clans." "The Star League Strikes Back! The brave warriors of Task Force Serpent made the thousand-light-year journey to the Smoke Jaguar home world of Huntress to eliminate the last of the Clan's holdings. What they find there will test the limits of their skills, their endurance and their loyalty. Twilight of the Clans is a Battletech scenario that picks up where the Dragon Roars left off, as the campaign to end the Clan invasion reaches its stunning climax! Players can take the part of the Star League or the defending Clans in a series of ten Battletech scenarios, and even accept the challenge of commanding the entire assualt on Huntress in a detailed Battleforce 2 campaign." Defenders of Kerensky’s Vision: Clans Cloud Cobra, Coyote, Diamond Shark, Ghost Bear, Goliath Scorpion, Snow Raven and Steel Viper. 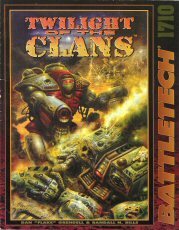 This book describes the tactics, military doctrines and battle histories of each Clan, plus special rules that reflect the unique capabilities of each Galaxy, new weapons, equipment, exclusive Warden BattleMechs and more." "In early 3061, Prince Victor Steiner-Davion returned from the Clan home worlds triumphant — but to an Inner Sphere that was radically different. The entire Ghost Bear population had relocated to the Inner Sphere; the St. Ives Compact was under siege; Katrina Steiner-Davion was sitting on the throne of New Avalon. Even with the overwhelming threat of the Clan invasion defeated, the Inner Sphere is still poised precariously between peace and war. Who will light the spark that will set BattleMechs® marching and worlds aflame once more? 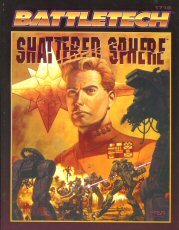 Drawing on information from five scenario packs, seven sourcebooks and more than a dozen novels, Shattered Sphere represents the ultimate guide to the people and places of BattleTech, as seen through the eyes of the characters who live there. Offering a brief, comprehensive history of the universe and an in-depth look at events from the Truce of Tukayyid through early 3062, this update is a must for any BattleTech fan. Shattered Sphere also includes detailed maps showing the current state of the Inner Sphere and the Clans." 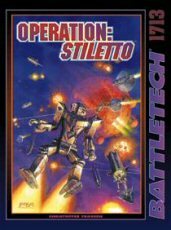 "The first in a new breed of adventures, Operation: Stiletto™ breaks the mold of the BattleTech scenario pack. 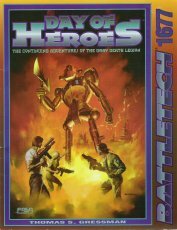 Instead of reliving the exploits of established units in battles that are part of BattleTech history, this book lets you make BattleTech history. Using an innovative track system, you can take your own unit through a massive campaign across the shattered Inner Sphere of 3061. You call the shots in an all-new BattleTech epic ... will your unit have what it takes?" 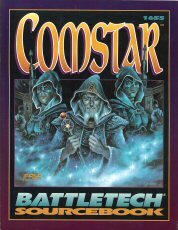 To maintain their monopoly on the flow of information and technology across the vast reaches of space, the powerful organization known as ComStar waged a hidden war of assassination, sabotage and terrorism for more than two hundred years. Now, the Star League has been resurrected and ComStar will play a pivotal role in its continued survival... or its ultimate downfall. 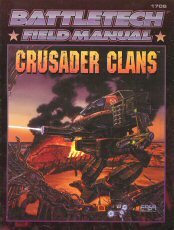 BattleTech Field Manual: ComStar describes the military doctrine, traditions, tactics and battle histories of ComStar's military division, the Com Guards, and the Word of Blake splinter group. This book also provides complete information on the Free Rasalhague Republic and units of the new Star League, including the Eridani Light Horse and Clan Nova Cat, plus new equipment and 'Mechs® unique to ComStar." "Ravaged during the Succession Wars and poorly governed by paranoid Chancellors, the Capellan Confederation has languished at the mercy of its more powerful neighbors for centuries. However, the time of Xin Sheng has arrived. A new birth. The devious and brilliant Sun-Tzu Liao leads his people into a glorious era of national pride and prosperity. Through subterfuge and warfare, he is driven to reclaim everything the Confederation has lost. 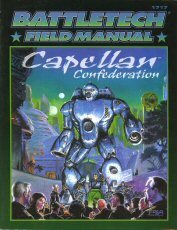 BattleTech Field Manual: Capellan Confederation provides an in-depth look at the rising power of House Liao, including profiles on every Confederation regiment and the regiments of the newly conquered St. Ives Compact. Special rules reflecting the unique abilities of each regiment are included, along with new equipment and 'Mechs® exclusive to the Capellan Confederation." "Dominant for centuries, House Davion has led the Federated Suns to greatness through brilliant and innovative leadership. The Federated Suns have carved a prominent swath through history: the Davions formed a military that rewrote modern warfare; created the New Avalon Institute of Science, giving the Inner Sphere its first technological renaissance in three centuries; and united the military might of the Federated Suns with the economic power of House Steiner, creating the vast star empire known as the Federated Commonwealth. But with such power comes corruption -- and civil war is looming on the horizon. 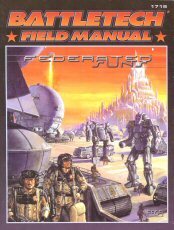 BattleTech Field Manual: Federated Suns provides profiles on every Federated Suns regiment, including their loyalties, and provides special rules, new equipment and 'Mechs® unique to this powerful House." "House Steiner has always been the unchallenged economic power of the Inner Sphere. Transformed from merchant-princes to a military juggernaut by years of war, the alliance with House Davion gave them the most powerful 'MechsÂ® money can buy and a streamlined chain of command. Now, the Steiner-Davion alliance has fractured from within, threatening to engulf both nations in civil war. 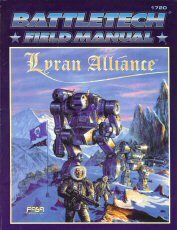 BattleTech Field Manual: Lyran Alliance reveals the strengths and weaknesses of the new Alliance forces. This manual describes each Lyran regiment and its loyalties, profiles and special rules, plus cutting-edge equipment and the latest 'Mechs from the famed Steiner factories." "For millennia humanity has traveled the stars, building empires that span hundreds of light-years. Those empires are home to a myriad of complex civilizations. 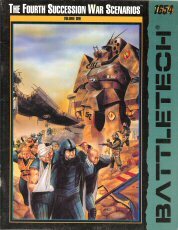 This sourcebook takes an in-depth look at the cultures and societies of the powers of the BattleTech® universe. Take a candid look at what life is like in the Inner Sphere, whether you're a Capellan who just gained citizenship or a Federated Suns student attempting to gain entrance to the prestigious New Avalon Institute of Science. The Inner Sphere sourcebook provides information on the five great Houses — Kurita, Davion, Liao, Marik, Steiner — as well as the lesser powers of the Periphery. 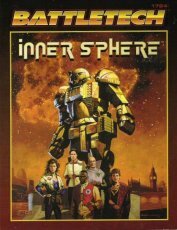 The Inner Sphere also offers general histories of each society, comprehensive maps and a section detailing ten key worlds of the Inner Sphere." "Constantly searching for a technological edge on the battlefield, the Clans and the nations of the Inner Sphere have now taken to refitting proven, classic 'Mech® designs with new technology to produce machines of awesome destructive power. 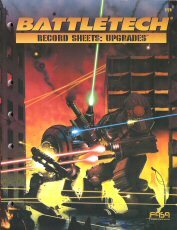 BattleTech Record Sheets: Upgrades provides more than 170 filled-out record sheets for BattleMech®, ProtoMech, and vehicle variants and configurations for the standard 'Mech designs presented in Technical Readouts: 3050, 3055, 3058 and 3060"
"For five long years, two of the most powerful Great Houses have been in the grip of a bloody civil war. Raging across eight hundred planets and a thousand light years, it has affected countless billions. Now, as the dust settles, the full story can be revealed. 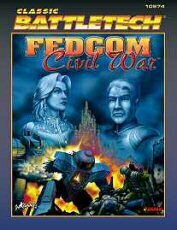 The FedCom Civil War™ sourcebook details the action involving every line unit throughout the civil war. Wave maps and full regiment listings breakdown the maneuvering and battles fought by individual forces. Expansive information on over forty war-torn worlds is also included."